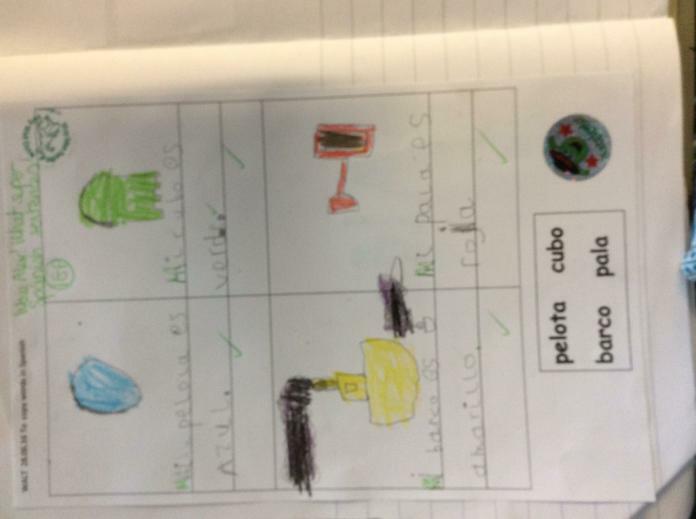 We have been reading abook about the beach in Spanish. 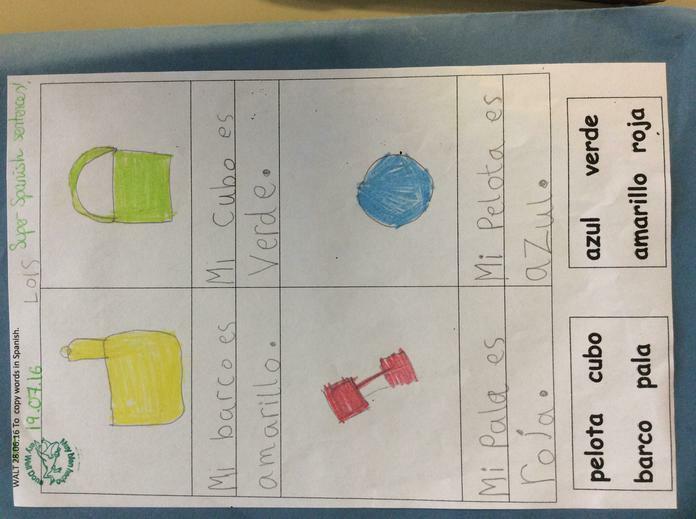 We have learned some new words and today we wrote some sentences! This week we counted dinosaurs ( dinosaurios). 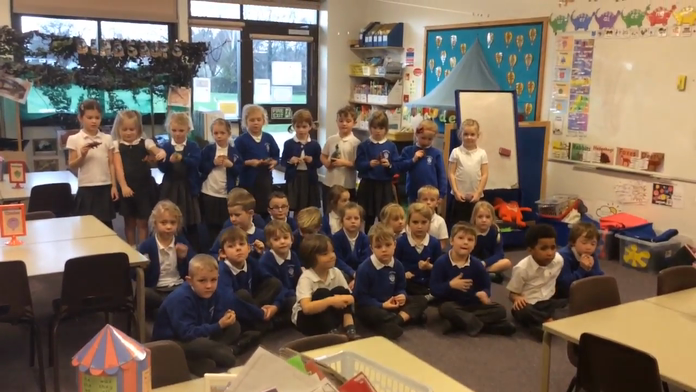 We have learned a counting song to go with our class topic of dinosaurs! Numbers to 10 in Spanish. Year 1 D can count up to 10 dinosaurs! This song is about 5 elephants who balance on a spider’s web! With lyrics. Now you know the song , join in with this one! 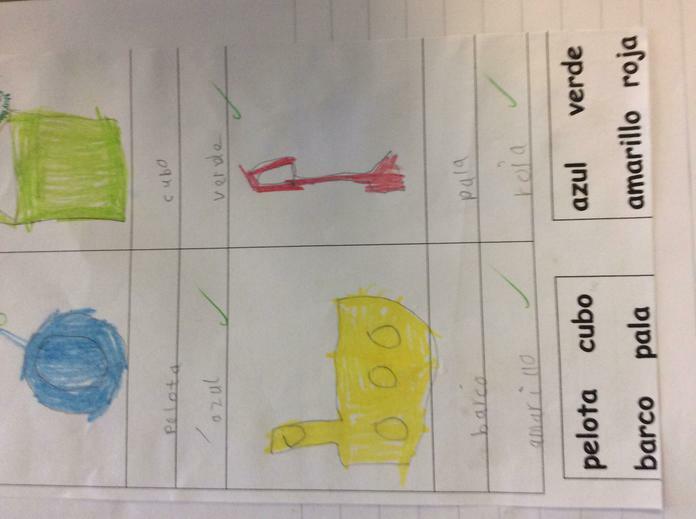 We played matching pairs in Spanish. We are learning the names of some toys that our puppets Carlos and María would like for Christmas.We have been playing some games like magic finger and matching pairs to help us remember the words. This week we had fun pretending to be zooming fireworks. We are learning a new rhyme called Tan, Tan by José Luis Orozco. We are also learning some action games. Listen and play this colours game. You will need sound to play this listening game.